Home > Auto Components > Boodmo.com: Ctrl. Shift. Enter. Boodmo's webpage lists car parts under body, electrical, engine, suspension and brake, and transmission. Bright ideas and eureka moments usually spark off innovation and entrepreneurship and that’s just what happened with Ukrainians Oleksandr Danylenko and Yevgen Sokolnikov. In 2014, when visiting India for the first time for a recce of the aftermarket, they conceptualised Boodmo.com – an online start-up for selling vehicle spare parts – which started operations in August 2015, with commercial retail on the e-commerce platform only commencing in January 2017. What was the company doing for two years then? “We had hired a market research agency in end-2014, which was collecting data. We spent the time analysing it, making several visits to the country to understand the market, before finally going ahead and taking a plunge,” says Yevgen Sokolnikov, CEO and co-founder, Boodmo. While it has already catered to over 7,000 customers ordering varied spare parts on its website in a little over a year’s time, the number is rather miniscule, considering the size and scale of the Indian passenger vehicle market, which sees over 3 million vehicles exiting showrooms every year. Boodmo’s growth mantra is to supply all sorts of car spares for models on sale, and even for those which are now defunct, or from OEMs who have long shut shop and quit India. Boodmo has created an exhaustive library of parts, categorised it into different catalogues, and even broken down bigger assemblies into their child part components, taking all of these references from a vehicle’s official parts catalogue and creating an enormous multi-brand database, which forms the backbone of the unique idea of the start-up. L-R: CEO Yevgen Sokolnikov and Oleksandr Danylenko, director of finance and operations, began scanning the Indian market in 2014 and co-founded Boodmo a year later. Anyone can plug into the website, find their car by selecting a manufacturer, and can further choose a model type according to the year of manufacture or by entering the VIN (Vehicle Information Number) details of the car. The customer is now able to choose from various catalogues of parts, namely, body, electrical, engine, suspension and brake, and transmission. With over 530,000 parts in its repository, Boodmo claims that it has pretty much everything covered when it comes to the possibility of searching for a particular part, be it the smallest nut, screw, bolt or grommet on a car. In order to gain traction among customers, the company is also game to cater to orders as small as these, irrespective of the quantity or value. While fast-moving items including air filters, oil filters, brake pads, spark plugs and wiper blades constitute the highest-placed business and get dispatched within 24 hours, it is the critical parts which are either obsolete or difficult to source, which can take anywhere between a week to a month as they need to be procured from the US, Europe, Japan, China or Korea. Any new business comes with its own set of challenges and the initial six months of operations saw a good number of dissatisfied customers complaining on facing problems such as inconsistent delivery times, wrong or incomplete order dispatch cases, and poor customer support to name a few. Sokolnikov admits that these were the teething problems during the initial few months but says the company is consistently working towards strengthening its ties with distributors on ground, in order to ensure quick and top-notch customer service. Boodmo’s business model involves having tie-ups with major local spare part retailers, wholesalers and distributors in the aftermarket in Delhi-NCR, Jaipur, Mumbai and Chennai, from where it gets its orders sourced to its customers. Logistics, then, is the biggest challenge in such a vast market for a nascent company to start operations and be dealing largely with players in what is one of the most unorganised spaces across businesses in the country. The start-up has received an undisclosed amount of funding from private investors back home in Ukraine. While it can sustain itself with the money for the next couple of years, it is infusing most of the roubles into brand marketing, logistics, and more recently, setting up its own warehouses in key cities to ensure all the gremlins related to order correctness and timely delivery are taken care of in a better way. “We are trying several changes with our model. While we set up a 2,000 square feet part sorting hub in Delhi’s Kashmere Gate towards the end of 2017, we are planning to open a new hub in Jaipur, which would be spread across 3,000 square feet, and another one in Mahrashtra – either in Mumbai or Pune – both by the end of 2018,” reveals Sokolnikov. “One hub each in Kerala, Bangalore and Chennai is also on the cards by the end of next year, as we gradually see the business scaling up,” he adds. The company foresees going in for the next round of funding, once it grows into a network of 100 hubs all across the country, which is still some years away. Boodmo dispatches close to 300 orders daily on an average, and aims to reach the 1,000 mark by the end of this calendar year or by early 2019. To enhance its service, the company is looking to approach suppliers directly through ACMA as well, and is also in talks with Fiat Chrysler Automobiles to strike a contract to become one of its authorised parts vendors as the company is surviving with close to negligible presence when it comes to catering to existing Fiat car owner parc in the country. While the vehicle enthusiast community in the country is quite paltry, Boodmo’s primary customers, for the time being, are those who are emotionally attached to their cars and don’t mind getting their hands dirty. At present, for the company, Maharashtra ranks highest in overall online orders, followed by Karnataka and Tamil Nadu. A parts-sorting warehouse in New Delhi. Boodmo says it is setting up storerooms next to local spare parts procurement hubs in key cities to maintain inventory record and ensure timely order despatches. Meanwhile, as a result of word of mouth, plenty of ‘forwards’ from the growing Do-It-Yourself fraternity and independent garages are also slowly logging in to the portal. Boodmo is now reporting receiving orders for parts which are not otherwise easily available over the counter, or for larger components like bumpers, where it is much easier to get it delivered at the doorstep, rather than taking the hassle of buying and bringing it to the garage. The company is now targeting business from Tier 2 and Tier 3 towns in India, whereby leveraging the power of the internet, customers can get a part sourced and delivered from the hubs in the bigger towns quickly. 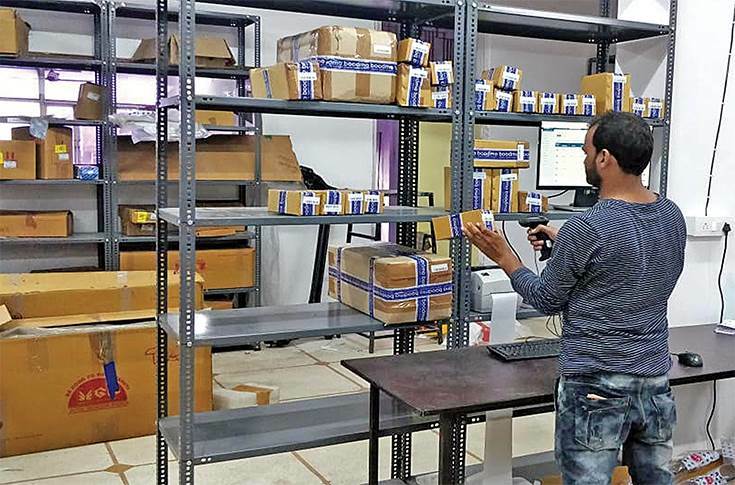 In a humongous auto aftermarket in India, where it had clocked overall revenues of Rs 56,000 crore in FY2017, Boodmo is swimming like a small fish in the ocean, trying to keep itself afloat amidst the tidal waves of unwavering suppliers and a low buyer turnout when it comes to buying spare parts for their cars online. As a result, while it foresees a huge opportunity with the two-wheeler as well as the commercial vehicle segments, the company is clear about keeping its focus intact and reinforcing its foundation with just the passenger vehicle segment in the immediate future. With e-commerce giants of the likes of Amazon and Flipkart also offering competition at least when it comes to the fast-moving consumables, Boodmo believes that even with their mass appeal, they still cannot reach the kind of depth it has been able to manage with the detailed part catalogue and thoroughly mapping each and every part number for over 500 car models. 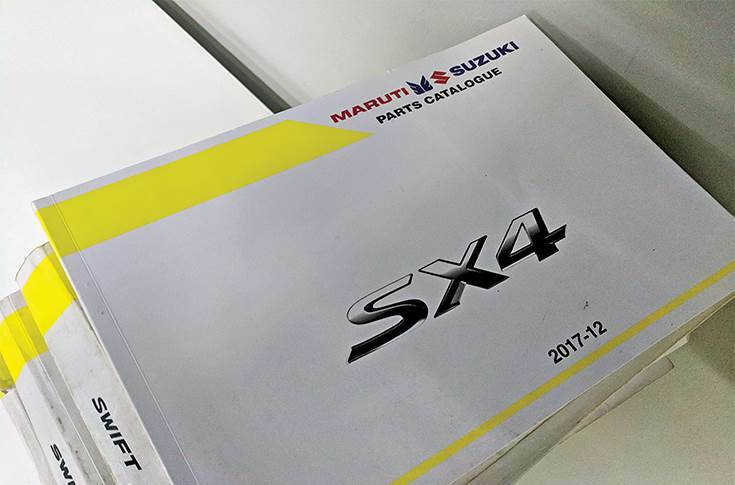 The start-up has leveraged official parts catalogues of over 500 models sold in India across manufacturers to map over 530,000 spares in its product portfolio. “Amazon is already there and selling aftermarket and fast-moving vehicle components online in the US. However, it has not been able to do a significant business due to the presence of other marketplaces, which specialise in this area and cater exclusively to spare parts, thus developing more trust with customers and offering better service,” points out Sokolnikov. While the opportunity is big, the number of serious customers having sound knowledge about their cars and the time to do things on their own is also rather limited. Moreover, in an era where vehicle OEMs themselves are seen focusing strongly on offering the best aftersales experience to their customers and keeping customers king, can Boodmo really boom then? Only time will tell how its future pans out when it comes to the sum of all parts.